As curious investors, we need to know that the performance of stocks within an index is just as important as the performance of the index itself. 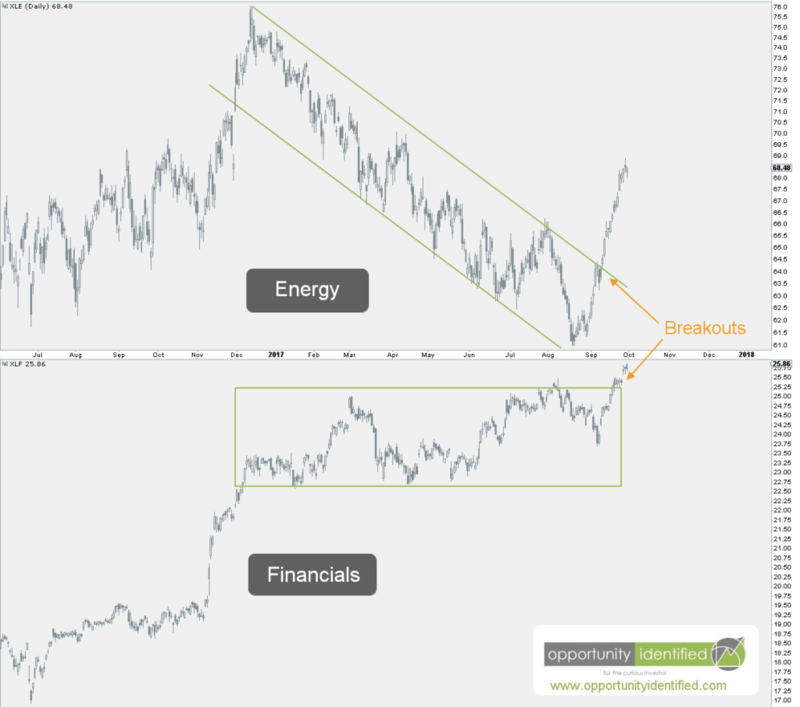 And when the two don’t jive (this is called divergence), it is time to sit up and take notice. Now is one of those times. While the S&P 500 and DOW are making new historic highs (awesome! ), the individual stocks within each index are not participating at the same pace (not awesome!). Less and less stocks are making new highs while the indexes themselves are at new highs. This is called a thinning (or stock pickers) market and could be a harbinger of a change in direction for the overall market. This is just a warning sign. Something to be aware of. We don’t need to take action… yet. We just need to be aware that things are not as they seem. 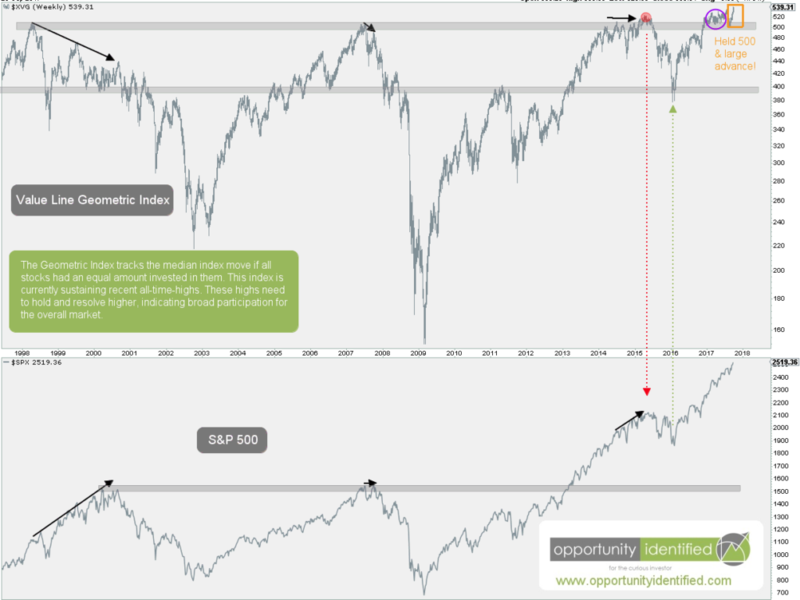 This symptom can resolve itself with an increase in stock participation within this rally. If that happens, it means great things for the upward trajectory of the market. However, if this symptom does not resolve itself, any downturn in the market could be significant (a 10 to 30+% correction). Now, on to the eye candy to show you what’s happening. The chart below is pretty simple. The line above is the percent of S&P 500 stocks that are above their 200 day moving average. Notice that a less and less percentage of stocks are above their 200 DMA. The line below is the S&P 500 itself. Price is at new highs. 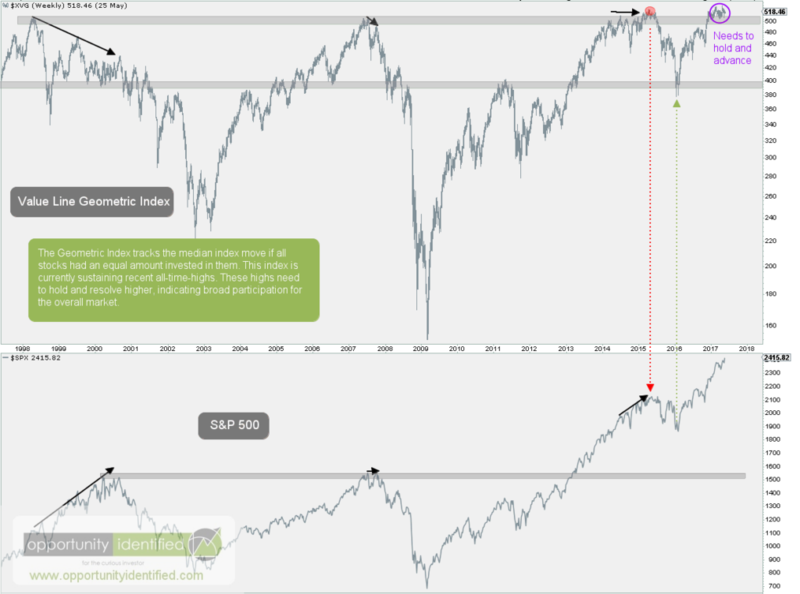 I’ve annotated (in 360 green) where past divergences have taken place. Notice the eventual reaction of the market. It doesn’t tell us when, but simply, that a resolution must take place. We’re taking notice as we weigh the evidence. More posts coming. Check back soon.